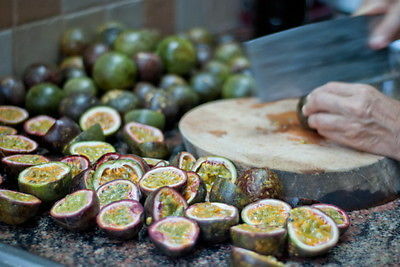 Black Marquisa passion fruit with very strong aroma, use for syrup/juice/jam. Leaves are oval with a grape leaf like texture. Black Marquisa Flower is a vigorous, trouble-free climber that thrives in hot summers. Needs winter protection from frost.